Sherrill offers a variety showcase of country, classic rock, rock n’ roll as herself. She is also world renowned as the world's #1 impersonator/tribute artist for Patsy Cline, Dolly Parton, Loretta Lynn and Stevie Nicks. 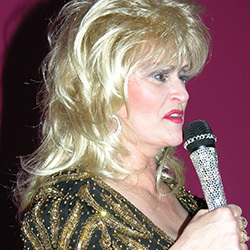 She will also be offering a new Tribute to Tammy Wynette ready for booking this year. Sherrill Douglas is a pro entertainer who sold out the Tropicana Casino in Atlantic City for 6 weeks and the last time they booked her, 7 months out, she sold out the main showroom for not one but two Monday matinees… brought over 4,000 people to see her. She has done dozens of sold out theater shows and hundreds of casino shows both solo and with her band or yours. She has regional bands based around the US. She is selling out theaters up to 1000 seats and casinos up to 2500 seats nationally and internationally. She is fun, quick witted and comedic. She specializes in country, classic rock, rock and roll, all #1 platinum hits. These are all family friendly songs that everyone will know and they are fun songs to set the party mood. She will really get the party started; over 220 hits. You can look long and hard and never find someone as talented as Sherrill. She has a 4 octave range and sings every one of the 220+ she knows in the same key and style as the original artist. In fact everyone thinks she sounds better than the original artist. Sherrill also toured Australia for a month of sold out shows for two years in a row. Sherrill and her band performed on the main playing field for the Dallas Cowboys in October 2014 as a benefit for the Susan B. Komen Breast Cancer Foundation (“Give Breast Cancer the Boot”). Sherrill can never remember a time in her life when she wasn’t singing and performing. Her ability to sing is a God-given talent, so she never needed any voice lessons. At age 6, Sherrill was singing at her local church as a solo-vocalist and also as part of the church choir. In middle school, she performed in school musicals. The love of performing came at an early age and came to stay. 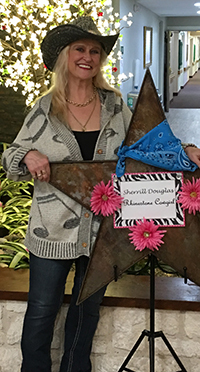 Since her parents listened to country music, Sherrill naturally was into rock-n-roll! Sherrill’s father had a great love of Patsy Cline’s music and insisted she practice until she could sing just like her. In order to please her father, at age 10, Sherrill became a young “Patsy Cline” impersonator. Sherrill performed Patsy’s music for her father and his friends on many occasions. At age 12, Sherrill started to get serious about her music and bought her first guitar with paper route money. Shortly afterwards, she formed her first band with fellow neighborhood musician hopefuls. As an adult, Sherrill succumbed to her musical passions and chose music as a career, or as she says, “music chose her”! She has performed professionally for every type of event with bands and as a solo artist. She has even performed for Ross Perot. Nationally and internationally, she is currently selling out theaters up to 1000 seats and casino showrooms up to 2500 seats. Each year she tours Australia with her band for at least a month where she performs sold out shows at theaters and casinos. Additionally, she is the lead singer of several bands regionally located around the county. In 2012, Sherrill was honored by the National Traditional Country Music Association with an induction into the International Old Time Country Music Hall of Fame alongside of Lynn Anderson and Michael Martin Murphy. Sherrill is a life long, fulltime singer/entertainer and has been tagged as “The Voice of Many Faces ™”. She currently performs various impersonation Shows in authentic costumes: “Crazy ‘Bout Patsy ™”, A Tribute to Patsy Cline, “Hey Loretta! ™”, A Tribute to Loretta Lynn, “Many Colors of Dolly™”, A Tribute to Dolly Parton, and “Dreams of Stevie™”, A Tribute to Stevie Nicks of Fleetwood Mac. 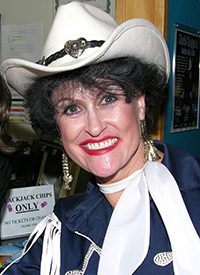 She also has a new show called, “Once Upon a Dream™” where she opens the show portraying Loretta Lynn for the first set and after a short intermission, she returns portraying Patsy Cline for the second set. Sherrill is so authentic performing as Patsy Cline, she has been described as “so real ….you’ll think it’s Patsy!” Sherrill will also add Tammy Wynette to her list of impersonations soon. She also performs as herself with a Variety Showcase called “By Request Superstars Music Review ™ “, A Tribute to the Divas, Darlings and Legends of Country and Rock, Past and Present ™. In this show, she sings a selection of the over 200 #1 platinum hits. She sings all of these songs in the same key and same style as the original artist. She is known as a “vocal chameleon” and the “queen of make-believe” as her wide vocal range, smooth, powerful delivery allows her to mimic many vocal styles. She performs all Shows with a band or solo. Sherrill also offers “Double Exposure™”, a “Legends Review” style series of shows to continue her “Once Upon a Dream™” series where she performs as one of her characters along with other Legends such as Elvis, Willie Nelson, Cher, Johnny Cash, Frank Sinatra, etc. This Show, as well as the other Shows can be performed with a live band or solo to fit all venue sizes. Some of her credits include: 6 weeks of sold out shows for the Tropicana Casino in Atlantic City and the last time they booked her, 7 months out, she old out 2 shows in their main showroom which seats over 2500; sold out New Year’s Eve parties at the Nugget Casino in Carson City Nevada; 40+ sold out shows for the Isle of Capri Casino chain; Wrest Point Casino in Tasmania; Hard Rock casinos; Four Aces Casino in Deadwood, South Dakota; Elbow River Casino in Calgary, Canada; Wild Rose Casino in Iowa; Riverside Casino in Iowa, Diamond Jo’s Casinos in Iowa; Mystique Casino in Iowa; over 50 shows for many Native American Casinos such as the Choctaws, Osage, Comanches, Cherokees; Billy Bob’s; the State Fair of Texas; and Southfork Ranch (where the television show “Dallas” was filmed); and opening act for Art Greenhaw’s Lightcrust Doughboys. She has also been featured on “Good Morning Texas” and “Good Morning Tulsa”. Sherrill is also an actress, having performed minor roles in a number of “A” movies. 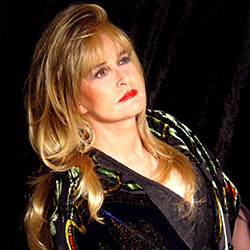 She has performed for other venues as: The Mansion on Turtle Creek (5-star Dallas restaurant/hotel), The Gaylord Texan Hotel Christmas series, the Gaylord Opryland in Nashville, the Old Dominion Opry in Williamsburg, VA and for private and corporate events nationally from coast to coast, in Las Vegas, Nashville and New York. She has performed many times for large corporate clients such as the Dallas Cowboys, GTE, Microsoft, Bayer Aspirin, Amway, Saloman Smith Barney, United Way and for national and international festivals and conferences such as the show she performed at the Loews Anatole Hotel ballroom to an audience of over 5,000. Sherrill is also an original recording artist for country and gospel. She released her first original country CD and after just three weeks of airplay, it rose to #8 on the European Country Music Association charts. Sherrill’s original CD has been released by independent label, Sweet Dreams Records. Sherrill is also a singer/songwriter having written the title cut, “I Want You to Know”. Her next original CD is a country gospel CD and will soon be released. Two of the cuts were advanced to U.S. gospel stations where they enjoyed high airplay. Additionally they were selected for the “recommended list” of a famous Nashville gospel DJ for international airplay. 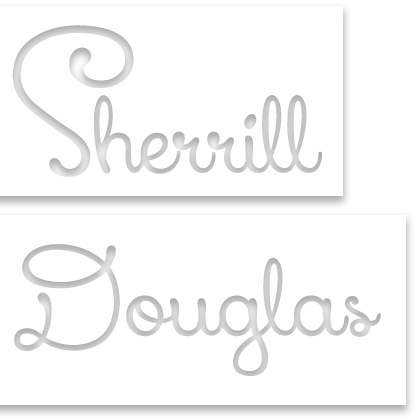 She has organized her fan club, “Sherrill Douglas Fanatics”, and offers a range of custom logo merchandise. Sherrill has developed a web site, www.sherrilldouglas.com, and www.gigsalad.com/sherrill_douglas so her fans can track her, and order her CDs and merchandise off the Internet. Sound and video samples are also available on this website as well as upcoming tour dates. An Electronic Press Kit (EPK) is also available here. Sherrill Douglas is managed by Sandy Clark, Sweet Dreams Productions, 15610 Wright Bros. Dr., Addison, TX, 75001 USA. The phone number is (972) 661-1166; the fax is (972) 661-1144. The contact email is sandyclark@sherrilldouglas.com.